Given that agricultural research depends basically on data and analysis, governmental agencies, publishers and science funders now require data management plans for publicly funded experiments. This, along with the sheer volume of agricultural biological data being produced today makes good data management essential. 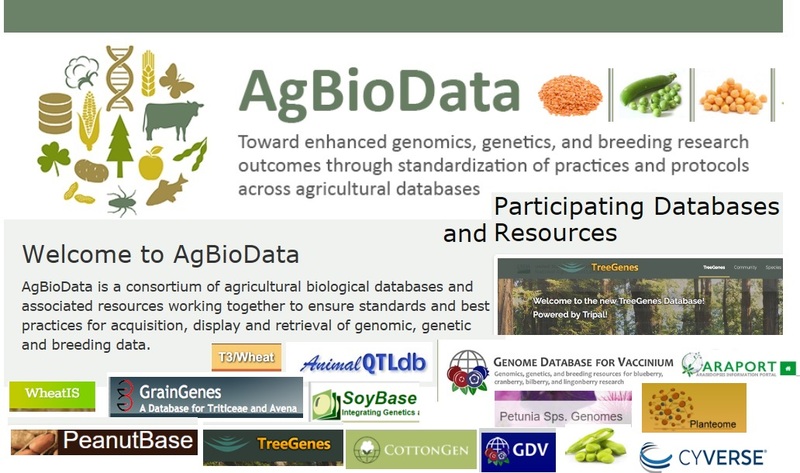 In 2015, AgBioData - a consortium of agricultural biological databases - was formed to identify common goals relating to data set acquisition, display, user retrieval and manipulation; data (storage and sharing), software and hardware standards, and database best practices that would have the most efficient impact on agriculture (research) agendas, through more efficient database solutions. 3.) to promote AgBioData database products referenced into the FAIRsharing registry <https://fairsharing.org/collection/AgBioData> in order to enhance support for more reliable insights into findable, accessible, interoperable and reusable (FAIR) datasets. 3.) to inform policy and decision makers about the growing importance of scientific data curation and management to the research community. The publication is divided into seven sections and each section contains an (i) Overview, (ii) Challenges and (iii) Recommendations. Get Full-Text content via AGORA (Access to Global Online Research in Agriculture) and other Research4Life programmes enhanced with new Country-Specific Search in Summon! Thousands of community-developed standards are available (across all disciplines)… but, do we use them? Discover VEST/AgroPortal AgriSemantics map of Data Standards, FAIRSharing, RDA IGAD ‘Landscaping the Use of Semantics to Enhance the Interoperability of Agricultural Data' … and keep coping with FAIRifying challenge!